Ami Bar-Am Founder of "Hitkashrut - Joining Ends at Home"
It isn't easy to maintain the integrity of a family unit when one spouse is observant and the other secular. This is all the more true for a family that started out Charedi. The prevalent approach in Charedi society is to separate the non-observant parent from his children, leaving no chance for the family unit's survival. Yet, experience has shown that the family can prevail, maintaining the children's emotional health without compromising their spiritual well-being. All that's needed is a change of mindset. During the first year of my marriage I became observant. Within a short period of time my entire lifestyle changed, and from being a completely secular person I became God-fearing and halachically observant. My return to observance, which I presented to my wife as a fait accompli, struck her like a lightning bolt out of a clear blue sky. My routine, my behavior — so much about who I am — suddenly underwent a dramatic change. Predictably, a crisis in our relationship ensued. My transformation and our newly divergent lifestyles led to painful turbulence, deeply threatening our young family. God was good to us and we managed to ride out the crisis. Today we are both observant. We learned during those painful years how important it is to cultivate and maintain good relations within a family and between spouses even when serious differences arise. Even when the gap seems unbridgeable, our experiences showed us that a strong relationship remains possible. We believe it is even desirable. We learned during those painful years how important it is to cultivate and maintain good relations within a family and between spouses even when serious differences arise. Our journey and the lessons we learned along the way led to the founding of our organization, Hitkashrut — Joining the Ends at Home. We provide support for couples experiencing a similar crisis to our own, whereby one spouse becomes observant, or when the opposite happens — one spouse loses his or her faith. We help such couples deal with this complex challenge; with God’s help, we have assisted in salvaging many families and relationships. During our organization’s early years, our services were primarily sought by secular families in which one spouse became observant, as well as by religious-Zionist and Chabad couples wherein one spouse moved in the other direction. But we have recently seen growing numbers of mainstream Charedi couples coming to us for support. Our encounters with such families underscore a major issue facing these families, one especially acute in the Charedi community. When a parent decides to leave religion, Heaven forbid, it is common in Charedi society to distance him or her from the children as much as possible. This approach, while intended to protect the children’s spiritual welfare, is of course deeply harmful, often mortally so, to the fabric of the family. Certainly, the couple’s relationship is compromised beyond repair. In this article I will explain why we object to this approach. I will also suggest an alternative path to navigating these complex situations. Live a Lie or Sever Ties? Last year, the tragic suicide of Esti Weinstein made headlines. Weinstein grew up as a Gerrer Chassid and married at 19. Alleging abuse at the hands of her husband, she later left religion and her family. Weinstein was then not allowed to see her daughters, who were told their mother had abandoned them. In the wake of the Weinstein affair similar stories emerged. For example, Aviva David, a mother of six, claims she has been kept away from her sons because of her decision to leave religion. Similar cases abound, involving both men and women, in which the price of leaving religion, or leaving a specific religious group, may be permanent separation from one’s children. Today, it seems that a Charedi parent who leaves his or her religious path limited and tragic options: to stay with his or her family in a Charedi community, essentially living as a fraud, or to divorce and be cut off from the children. This latter option entails immense hardship for the remaining spouse and children, who end up growing up without a father or mother. These children may one day identify religion as a source of tragedy and trauma in their lives, and as the reason for the loss of a parent. 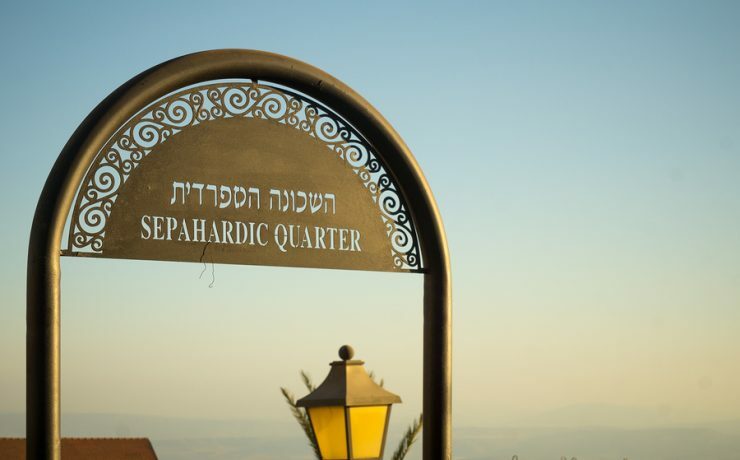 Additionally, extreme social and economic difficulties face those who leave the Charedi community, leading them even further from religion and intensifying the perceived “threat” they present to the family. Most enter the secular world entirely unfamiliar with its culture or language, and they often find themselves lacking the basic skills they need to provide for themselves and integrate into a new society. These individuals are forced to build their lives from scratch. The choice is devastating: remain as a “fraud” in a Charedi community, or cut ties with it completely. With few resources available to them, some reach out for support to the Hillel Organization (Ha-Agudah L’Yotzim L’Sheala). Ostensibly, this group lends assistance to individuals facing the challenges outlined above. But its involvement can often make matters worse. Hillel, perhaps meaning well, tends to encourage people who left religion to sever all ties with their old life. Needless to say this increases friction and deepens the rift between those who leave religion and the families they left behind. The choice is devastating: remain as a “fraud” in a Charedi community, or cut ties with it completely. Each path leads the individual in question, and his or her family, toward a life of pain and suffering. Our proposal is that there is another way, a third option. This middle path allows for this complex process to unfold while keeping the family unit intact. Though this is not yet the situation, we envision a future in which the Charedi community will be secure and self-confident enough to include such “mixed families” in its ranks. This will avert much pain and suffering, leave the door open for further healing and strengthening of bonds, and enable the possibility of rediscovering religion for those who left it. Before I outline a more balanced approach, I must first describe the position I am objecting to. We disagree with the view that rejects any possibility of a healthy relationship between those who leave religion and their families. A religious life, writ large, rests on absolute commitment to Torah, Mitzvos, and halacha, as handed down to us from previous generations. Throughout our communities and from the youngest age, our children are trained to live a life replete with religious observance. This way of life does not consist merely of texts and prescribed or proscribed activities; it represents an intricate fabric in which life of body and life of mind are deeply intertwined through values, stories, songs, sensitivities, and more. These, collectively, form the “life of sanctity” we strive for. Sooner or later though, the religious community confronts the following question: How does one navigate the sharp contrast between a devout community that cultivates the values we described and a host culture that does not? This is where the various religious communities diverge. In Israel, the starkest differences are seen between the Charedi and religious-Zionist communities; in the US and elsewhere this may be characterized as Charedi/Yeshivish versus Modern Orthodox. For the Charedi approach, a religious community can only thrive in a controlled environment, wherein harmful influences of the modern world are kept away. Great emphasis is placed, often at significant cost, on maintaining a metaphorical fence between the community and general culture. Under such ostensibly pure conditions, Charedi individuals go about their religious lives with the absolute sense that theirs is the most natural and normal state of being. Conversely, anything different is deficient, misguided, and wrong. For the Charedi approach, a religious community can only thrive in a controlled environment, wherein harmful influences of the modern world are kept away. … [A]nything different is deficient, misguided, and wrong. The Charedi way of life has undeniably great advantages: it enables a focused and intense religious experience, one that sees no need to justify itself to its secular neighbors. It provides for complete confidence and pride in a life of Torah. A Charedi Jew thus views the compromises his modern religious neighbor must accept with great alarm. He believes that exposure to secular culture and thought comes at too great a cost to a life of holiness. His resolve to remain insular and protected is only strengthened by his awareness of the price non-Charedi communities pay for their openness. But from a different perspective, this insular approach can cause families to be destroyed when spouses’ religious observances diverge. Through my work I have witnessed the very real pain often experienced in such situations. 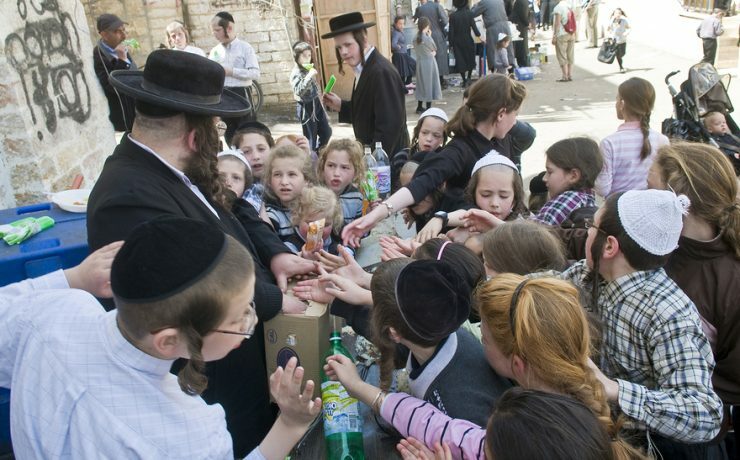 The common Charedi attitude is that children of the newly observant should avoid contact with their non-religious family, grandparents, uncles, aunts, and cousins. Likewise, when one parent abandons religion, a concerted effort is made to cut off the newly secular (or non-Charedi) parent from his or her children. In my opinion however, such decisions are motivated more by communal fear and insecurity than by the best interests of the child. Aspiring for a fully integrated life of holiness, the Charedi community attaches great importance to preserving its own integrity. One result is the delegitimization of other ways of life. In this outlook, acceding to a level encounter with people who live differently, including a parent who is not religious, might, might grant a degree of legitimacy to other lifestyles. To a culture whose central premise is preservation of its own integrity, such exposure is dangerous in and of itself. But will separation from a newly unobservant parent truly protect the stability and mental health of the children? Is such trauma truly for the good of the child? Many cases we are familiar with indicate the exact opposite: Not only does separation not benefit the children; it actually leaves them with deep, enduring mental scars, harm that ultimately extends to their own spiritual futures. I am convinced that a child raised in a religious community and educated in a religious school will not be harmed by contact with a parent who does not share his way of life. This is certainly the case if the parents are divorced and primary custody is granted to the religious parent. Any loss of innocence resulting from contact with the non-religious parent is well worth the deep psychological benefits such a relationship affords. a child raised in a religious community and educated in a religious school will not be harmed by contact with a parent who does not share his way of life. Below I will propose an alternative approach, one that neither requires compromises to observance nor grants legitimacy to secularism, but which nevertheless allows for a healthy human relationship between parent and child. Our approach calls for an appreciation of the difference between spiritual and human relationships, distinguishing between the positive attributes and value of every person and those behaviors we wish to disassociate from. Elisha Ben Avuyah is publicly desecrating Shabbos by riding a horse. Rabbi Meir, who loves his former teacher and owes him so much, does not reject or ignore him, much less stone him for his transgressions, but rather follows him. Even more surprisingly, he does so “to learn Torah” from him. Rabbi Meir knows and believes that there is still Torah to be learned from his former teacher, even if the latter openly rejects a life of observance. And indeed, we see that Elisha Ben Avuyah remains conscious of his Torah, noticing that the two have reached the techum, past which one may not travel on Shabbos. Rabbi Meir senses in his teacher’s statement a subconscious desire to return to observance. He goes so far as to say this out loud, echoing back to Acher the hidden implication of his instruction. He does not succeed. Acher clings to his apostasy. But the story demonstrates Rabbi Meir’s efforts to remain connected to his former teacher. Of course, not everyone is Rabbi Meir, and of course one cannot compare him to a young child who lacks critical faculties and for whom a parent is an influential source of authority. But not everyone who leaves religion is Acher, either. I take a more general message from this story. To me, it embodies wonderfully how a relationship can exist between those who are faithful to religion and those who for whatever reason have chosen to leave it. Rabbi Meir does not grant legitimacy to his teacher’s way of life. He is of course careful not to violate Shabbos himself. At the same time, he does not avoid contact with Acher. He even sees it as a Mitzvah – if he cannot rekindle his teacher’s Jewish spark, who will? The story also demonstrates that the relationship is not “conditional” on Elisha Ben Avuyah returning to observance. At the conclusion of the Gemara’s story Acher remains a heretic, but Rabbi Meir also remains his companion. Preserving one’s connection with his or her parents … is critical to the emotional foundation upon which one builds a healthy life of Torah and sanctity. Maintaining a relationship with relatives — siblings, parents, children — who have become distant from God is not important only for those who left, if only so that they do not become entirely detached from their own Jewish world. It is also vital for their observant relatives and for the religious community in general. Our sages taught that derech eretz kadma l’torah, normal and appropriate worldly conduct precedes Torah. Preserving one’s connection with his or her parents and with our Jewish brothers and sisters, whatever their attitude towards Torah and Mitzvos, is critical to the emotional foundation upon which one builds a healthy life of Torah and sanctity. We are proposing a middle path, one that views the crisis at hand as the individual’s personal hashgacha. As believers, we are to see the circumstances facing this family not as a “bug” or “mistake” on God’s part, but rather as a challenge beckoning us to further spiritual growth and personal development. Our communities should recognize that a healthy relationship with non-religious relatives is important, not despite the potential threat to the religious person’s avodas Hashem, but rather as a crucial part of it. We have seen this approach succeed for many who came to us for assistance. One such case involved a Charedi family, both spouses Charedi from birth, in which the father unfortunately decided to leave religion. His departure was slow and he struggled at length with his hesitations, primarily out of fear of hurting his wife and children. This man understood well how significant such a decision would be for their family life. The couple, who lived in a very Charedi neighborhood in Jerusalem, had six small children at that time. On the one hand, the father did not want to drag their children into his personal conflict, but he had no idea how to explain his decision to them. Of course, he also feared losing them entirely. At the same time, he was debilitated by the feeling that he was living a lie, in a society that imposed a lifestyle he did not desire. As a kollel student, he felt the walls of his world closing in on him. His wife had sensed her husband’s faith weakening, that he was changing. Finally, they confronted a world-changing crisis when he decided he could hide not longer and chose to share his struggles with her. the father did not want to drag their children into his personal conflict…. At the same time, he was debilitated by the feeling that he was living a lie, in a society that imposed a lifestyle he did not desire. The couple told us about their uncertainty regarding themselves and their family, and that they did not know how best to proceed. Even after he had lost his faith, social pressures and norms were pushing the husband to lead a life that had become a prison for him. His only alternative appeared to be acknowledging his change, which would mean cutting himself off from his wife and children so as not to harm their religiosity and accepting the tragic consequences. It was clear to both spouses that neither option was right for them. Preserving their family was a supreme value neither was willing to sacrifice, while the prospect of perpetual social deceit was likewise untenable. With these limited choices, the father approached Hillel for assistance, but their proposed solutions only addressed his own needs, while entirely ignoring those of his wife and family. Eventually, with God’s help, the couple made their way to us and began the difficult process we propose to couples. The couple relearned each other, learning to recognize the other’s changing needs. They understood that they could no longer live a hidden life and decided to share the father’s decision to change his lifestyle with their children. They chose not to change anything in their children’s education, keeping them in the same religious frameworks, and the home continued to be Shomer Shabbos at the same level as before. To address the challenge of social pressure they moved to a more mixed area, in which they would have more space to live their newly complex life. One of the most significant challenges facing couples who approach us is how to raise children. The Charedi approach seeks to “protect” children by detaching them from the parent who has strayed. And while we encourage families to stay intact, we understand this impulse and acknowledge that this is indeed a very significant challenge. But we maintain that parents are responsible for their child’s wellbeing; they must provide strength, stability, and emotional health, and thereby build a platform for the child’s ethical and religious life. Our alternative proposal is to preserve the existing family framework. Ultimately, each adult individual must choose his way of life, his community, and his internal beliefs. The more respectful and inclusive the religious environment, such that the children experience it as a natural and safe space, the more likely they are to choose it even as adults, despite diverging worldviews of parents. On the other hand, if children sense that religion caused the family to break up and a parent to disappear, odds of these children remaining in the fold are slim. Such children are likely to go through a major religious crisis, beyond the expected turmoil associated with growing up in a dysfunctional family. It is important to clarify that the spiritual path of the family’s young children is the joint decision of both parents. Parents must learn, through the crisis, to work together as a cohesive unit vis-à-vis the children, and they need to jointly decide the religious level of the family. A choice to continue living a Charedi lifestyle, which is natural for a Charedi family unit, the parent who left religion has to be no less committed to this path and its preservation. By analogy, a parent who smokes knows that his small children cannot. The parent may not keep Shabbos himself or herself. This is his own choice. But when it comes to the children it must be clear that they will behave in accordance with a joint decision made by both parents. If one parent turns on a light on Shabbos it must be clear to all members of the household that this does not mean the children can do so. If they do, God forbid, both parents are responsible for stopping them, even if one acts otherwise him or herself. In our experience, this does not confuse the children but rather the opposite: it defines very clear boundaries for them. We’ve also seen our approach succeed in the opposite situation, where the father of a secular family became observant and Charedi. In one case the spouses, secular from birth, were raising their family in North Tel Aviv, a thoroughly secular bastion. When the father became religious, the mother refused outright to take their children out of the secular schools they attended. However, both parents also understood that keeping their children detached from religion would necessarily distance them from their father. To resolve this, they enrolled the children in religious enrichment classes after school. The children’s experience became a combined reality rather than a dichotomous one: on Shabbos they heard kiddush at home and joined their father to attend services in shul, but they were permitted to go to parties and not keep Shabbos. For the children things were clear. Their mother was not observant while their father was, and they saw how each parent looked out for the needs of the other. With these understandings, the couple was able to create a healthy space for their children. The son’s independent choice was also very exciting for our organization, a clear demonstration that our approach can indeed lead to a child’s conscious and informed choice. When the time came for their son’s mandatory army service, he had an opportunity to recreate himself. Whereas his social circles previously knew him one way, as a secular boy, he was now able to enter his new environment on different terms. Indeed, that son chose to join the army as a religious man, with a kippa on his head, heading in a new direction he had chosen for himself. His father and mother both supported him with great love and full acceptance. The son’s independent choice was also very exciting for our organization, a clear demonstration that our approach can indeed lead to a child’s conscious and informed choice. Having grown up with religious exposure in an inclusive, loving, and accepting home, the son could freely choose religion even though he was otherwise raised in secular surroundings. The Charedi community’s fear of the secular world is well justified. However, living a life of fear and suspicion exacts a heavy toll, especially in situations where one spouse changes how he or she lives. One can scarcely overestimate the importance of shalom bayis, of preserving domestic harmony and happiness. The cost of breaking up a family, let alone separating children from one of their parents, is enormous and painful. In their most extreme forms these lead to tragic stories such as that of Esti Weinstein. Charedi society presently confronts a number of complex issues, all of which call for communal introspection and thoughtful consideration of its future path. Technological advances, alongside aggressive social change around the world, are beating down its doors. These issues cannot be ignored. With all these changes and the clear desire to maintain the religious and halachic character of our community, we must not forget that our children’s emotional wellbeing is at the very core of our responsibility. We are but entrusted with them; they are not our private property, and we have no right to harm them in any way, shape, or form. Our role as parents is to provide our children with strength, stability, and mental health. The first step to accomplishing these is building and maintaining a strong relationship with our spouse. And lest we forget, there are never any guarantees: a child who grows up with two devout parents may leave religion, and children who grew up in entirely secular homes have found their way back to religion. Our role as parents is to provide our children with strength, stability, and mental health. The first step to accomplishing these is building and maintaining a strong relationship with our spouse. If a parent chooses to change course in life, this does not necessarily mean their child will also do so. If the ensuing crisis is viewed as the growth opportunity it is, the child will ultimately make the decision that is right for him or her. As Jews who believe that the best choice for every Jew is a life of Torah and Mitzvos, we have no reason to think the child will choose something else. The departure of a parent from religious observance is a major challenge. But we must see even such traumatic events as part of God’s plan for us. The lessons of life are not always easily learned; but we must embrace them and not escape the classroom. Certainly, we should take heed lest we violate His will by fleeing on a path of separation and permanent loss.